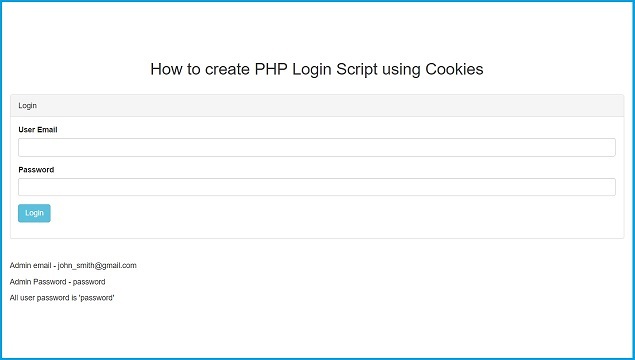 If you are looking for tutorial on How to create PHP Login Logout page by using Cookies, then you have come to right place, in this post we have describe How to make PHP login script by using Cookies. We have already describe How to Create PHP Login form by using Session with different option like PHP PDO, object Oriented and in Codeigniter also. But in all post we have use Session for make PHP login logout script. But here we have implement Cookies for developed PHP Login Logout script.